FREE Take-Home Lasagna With Purchase At Carrabba’s Italian Grill! 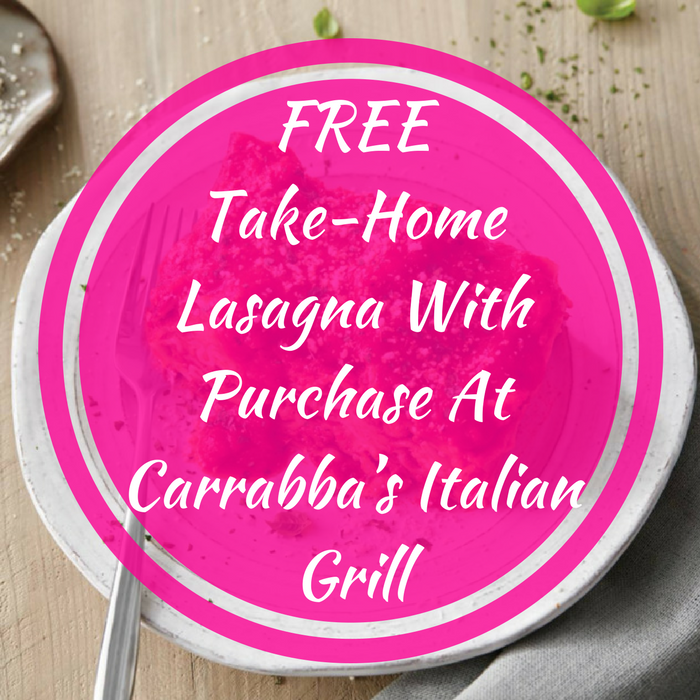 You are here: Home / FREEbies / FREE Take-Home Lasagna With Purchase At Carrabba’s Italian Grill! Until March 31 only! Hurry over to Carrabba’s Italian Grill to score a FREE Take-Home Lasagna when you dine-in and purchase one Chicken Bryan, Chicken Marsala or Pollo Rosa Maria! All you need to do is mention this offer to your server to get this FREEbie! Yummy!